I mean, when you’re pitching yourself as being “From the Mind of Stephen King,” you damn well better have a small slice of Americana hiding some messed up stuff. But Castle Rock’s own take on a classic King trope looks as starkly gorgeous as it does creepy. 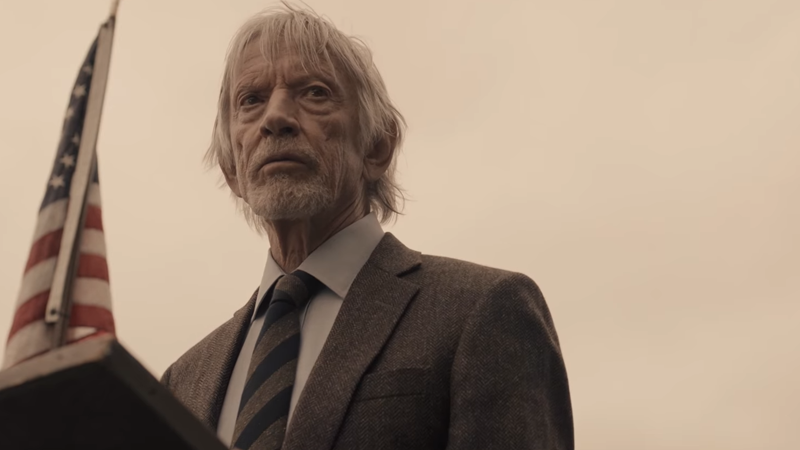 Set in the titular Maine town, Castle Rock draws on a plethora of King’s stories, weaving them together to make perhaps the most unfortunately spooky town in America—and even with the trailer below, that’s pretty much all we know about the J.J. Abrams-produced series, given how mysterious the whole thing looks. “You have no idea what’s happening here, do you?” Well yeah, trailer voice, because this teaser is cryptic as hell. Still, it looks suitably disconcerting, and there’s a certain beauty in the sparse quietness of it all. After some of the bombast of the other King adaptations we’ve had this year, the relative lack of it in this first look at Castle Rock is oddly compelling. Castle Rock hits Hulu next year.